Many of you know I stopped writing IMM posts a while back, but with all the commotion that has occurred surrounding a certain US blogger, my lovely UK book blogging pals have created a UK version called Letterbox Love. I wanted to show my support by joining in for a while. I also want to be able to publicly thank the publishers and bloggers who have sent books to me to read. I am truly grateful for all the books that come into my house. I am a very lucky lady and I really appreciate everything I get. If you want to take part each week and show the lovely books that have entered your house, then please head over to Lynsey's blog Narratively Speaking to add your post to the linky. I am going to change the way I do this though, as I want to help promote the books too. So from now on I will also include the Goodreads summaries in italics as well as publication date. This is the second book in the Merician series and will be published by Electric Monkey in June. The first book Blood is already available to buy. The vampire William of Mercia continues to search for answers about his long, undead life, together with Eloise, the girl with whom his fate is entwined. But the darkness doesn’t yield its secrets easily. As they edge closer to the truth, it becomes clear that something evil knows their every move, and this time it’s targeting the person Will needs most of all. I love the cover of this book! This is Ellie Phillips first YA book and will be published by Electric Monkey on the 4th June. There isn't a Goodreads or Amazon summary of this one yet. From the information provided by the publisher, this is listed as a story 'with wit, warmth and knicker-wetting embarrassment.' I think I am going to enjoy this one! I haven't read the first book in this series, but I am hoping to get it soon. I do love this cover. This is published on the 7th May by Egmont. In the far future, people no longer know what to believe...Did Kyle Straker ever exist? Or were his prophecies of human upgrades nothing more than a hoax? This cover is even more beautiful in real life, with the writing in gold! This is published on the 24th May by Headline and has me intrigued. Jonathan and Theo's childhood is one in which money is abundant but nurture is scarce. With a father who died when they were very young and a mother who starts drinking at lunchtime, the brother and sister are largely left to roam around their sprawling estate in rural Wales, looking after only themselves and each other. Until, that is, their grandmother Eve returns to the family home. Eve is a figure who is as enchanting as she is forbidding, and she takes the children under her wing, answering their questions about their family history that have always been ignored. Yet as they grow older, they discover that much of what they've been told is a fiction, and that something very sinister lies in their past. A lovely scorcher for the sunshine! I know we don't have a summer yet, but we can dream! This is the follow up to Vicotoria Fox's debut Hollywood Sinners and will be published on the 1st June by MIRA. Welcome to Paradise. Only the rich are invited...only the strongest survive. But is it heaven on earth or a devil s playground? Fame. Money. Success. Lori wants them Aurora is being destroyed by them, and Stevie s got them at her best friends expense. These three women are all drawn unwittingly to the shores of Temptation Island, all looking for their own truth. But they discover a secret so shocking there s no turning back. It s wicked, it s sensational. Are you ready to be told? The island promises the one thing money can t buy - but the glittering waters drown dark secrets... The price is devastating. This is the second novel by Paige Harbison and has been described as a modern and intelligent retelling of Daphne Du Maurier's 1938 novel Rebecca. Now I have read Rebecca, so I am really interested to see how this one will work out. 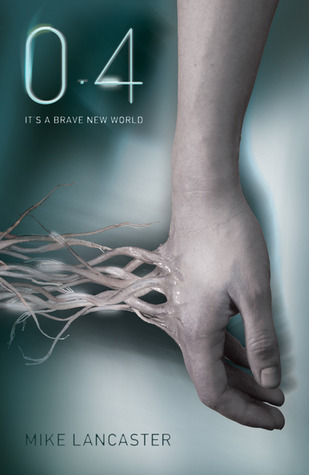 MIRA Ink was published on the 4th May. The first UK Netgalley book from HarperCollins Children's Books! Woo hoo! I am loving that the UK publishers are beginning to make that move. The Selection will be published on the 7th June. As soon as I saw this reviewed on Novelicious, I had to have it. I bought it for my Kindle! This is published by Michael Joseph on May 10th. Rebecca's twin sister Hephzibah was beautiful and daring. She was the one who always wanted more. The one who wouldn't listen. Now she's gone, Rebecca is alone. 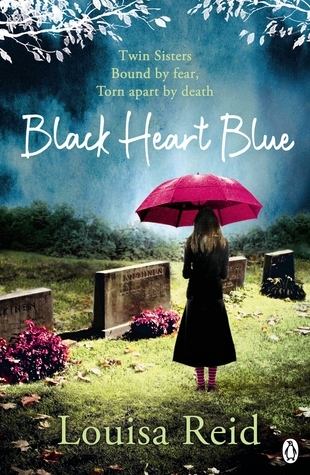 Original and unforgettable, Black Heart Blue is not just Rebecca and Hephzibah's story. It's a story about all of us: a story about the lies we want to believe, the truth we sometimes can't, and having the courage to discover the difference. I did already have a copy of this but I didn't have it at home when I went to meet Amy Plum, so I bought a new copy for her to sign! * mad book blogger*. Now I have a matching set! I love this series and would recommend you all read it. My first Lauren Conrad novel! Very excited by this one. In L.A. CANDY, nineteen-year-old Jane Roberts moves to L.A. and unexpectedly becomes the star of a reality T.V. show. With fame comes wealth, hot clothes and even hotter love interests -- and Jane′s lapping it all up with her eclectic entourage of pals who are always up for a wild night out and the chance to get a piece of her spotlight. But soon Jane realizes everyone wants something from her, and nothing is what it seems to be.L.A. 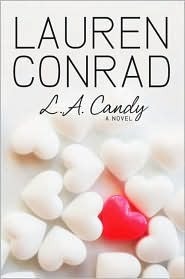 CANDY is a fast-paced, honest and entertaining fictional account of what it′s like to come of age in Hollywood while starring in a reality TV show, written by a girl who has experienced it all firsthand: Lauren Conrad. I have heard such good things about this series, so I was pleased to get my hands on this book via ReaditSwapit! As soon as I received 1.4, I knew I had to get hold of the first book in the series 0.4 which I managed to get on ReaditSwapit through Karen who used to blog as The Slowest Bookworm, so thank you Karen for swapping! More UK publishers on Netgalley? Yay! *goes and requests The Selection*. I hope you enjoy 0.4 and 1.4. It's really good and keeps you wondering throughout. Have fun with all your books! Thank you! Yes, it is happening.The UK publishers are moving over. Aah, you bought Black Heart Blue! It sounds so good. I couldn't resist! I had to have it. 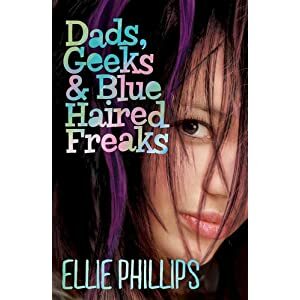 Love the cover for Dads, Geeks and Blue Haired Freaks. Also love the button for this meme. I really enjoyed Paranormalcy and Supernaturally and can't wait for Endlessly to come out. I am really looking forward to these too. Great selection of books :) I'm looking forward to reading The selection! What a cute name for this meme :) Fantastic selection Viv! 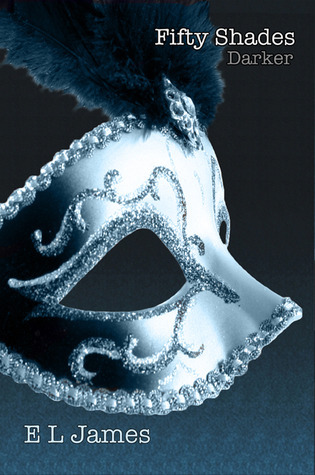 I just received Fifty Shades of Gray this week and cannot wait to read it. Hope you enjoy The Selection and New Girl, they both sound fab and I've heard good things about the Lauren Conrad books! And I am so jealous you got Die For Me, I need to hurry up and buy it! Die For Me is just heaven! I love the way Amy Plum writes! 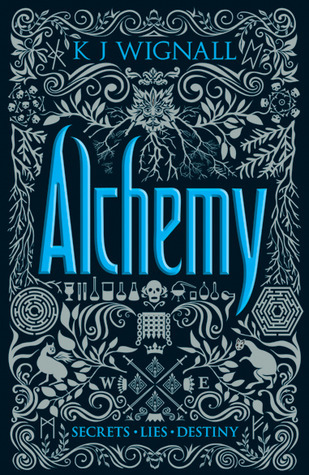 I don't know anything about Alchemy but the cover is stunning !! I've read mixed reviews about The Selection but I want to read it since I heard that it's going to be a tv show. 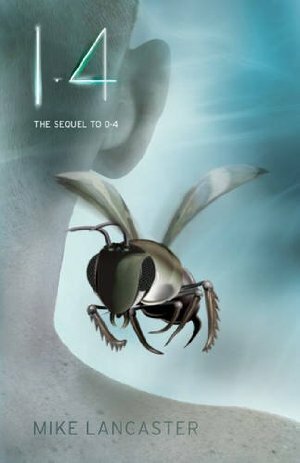 I read Paranormalcy almost 2 years ago and really like it it's a fun book ! I hope you'll like all these books. I'm also participating in Letterbox love :). Happy reading ! I am a bit behind with the Paranormalcy books! LOL. I didn't realise The Selection would be a TV show! Haha, we do have quite a few similar books this week! I think The Selection is on its way to me as well! Wow, how different is the cover of New Girl to the US version?! 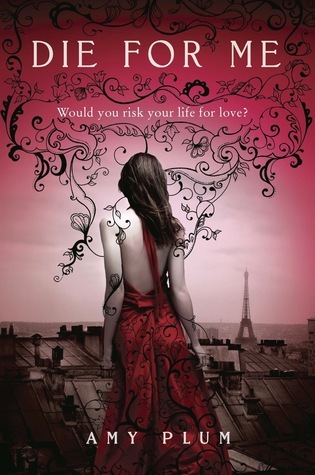 I really liked it - one of the few contemporary YA books that didn't have a gag-worthy romance LOL. Sooo different! I honestly didn't think it was the same book. Great books!! I also got Dads, Geeks & Blue Haired Freaks, I can't wait to read it! Yes i'm going to be an exhange student in england thanks to the Erasmus program :). I will be living and studying in Chester from september 2012 to june 2013 ! Do you know Chester? Wow, you got so many great books! 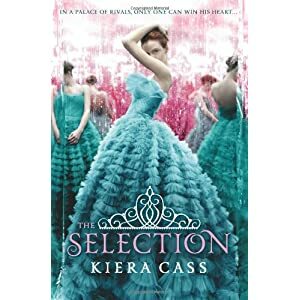 I'm just loving the cover for The Selection - so pretty! New Girl sounds awesome! Love the look of Black Heart Blue as well.